Our daily lives are impossible without groceries and we know groceries. We are simply the best grocery delivery service online for the African foods, Caribbean Foods and Latino foods to the African, Caribbean and Latino community in the United States of America. You can conveniently buy African food groceries online at the best price for a prompt delivery while achieving the best food quality obtainable. We continue to meet the diverse need of our target communities across the country and you order African foods, Caribbean foods and Latino foods grocery items across fruits, infant foods, baby foods, kitchen utensils and toiletries etc. If you are looking for both general grocery items that you can find in your favorite local store or groceries specific to the African foods, Caribbean foods and Latino foods, you have arrived at your destination. We have a wide range of grocery items and we are confident that you would not be disappointed as you browse through these collections. 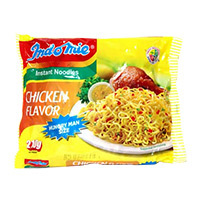 If you are unable to locate a particular grocery item of interest, do not hesitate to contact us through phone call, email and live chat as our Customer Service agents are waiting to hear from you and make such products available. Order African foods online today as well as Caribbean and Latino foods and general groceries here today and our qulaity and prompt shipping would amaze you. 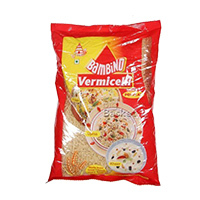 Vermicelli is very fine, long strands of pasta like a skinny spaghetti often used in soups.&nb..